Fabric Roses can be so beautiful. While searching through The Stash I found some small pieces of dark rose colored silks. One was a sheer and one was a duipioni. Neither was large enough to make a top individually, but together they would…. In the Pattern Stash, I found Simplicity 2922, which is still available. The yoke was cut from the duipioni and the body from the sheer. There was just enough of the sheer to line the front. 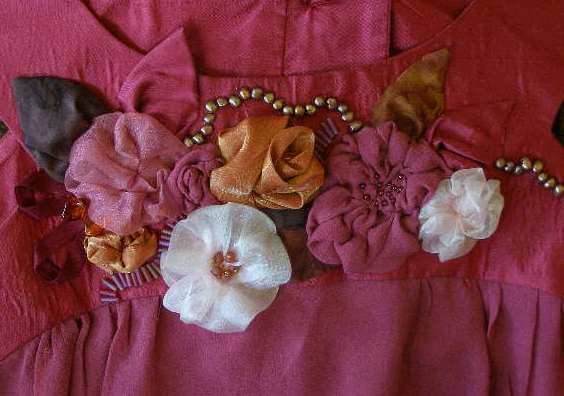 The yoke closes with shimmery rose colored buttons from The Stash. 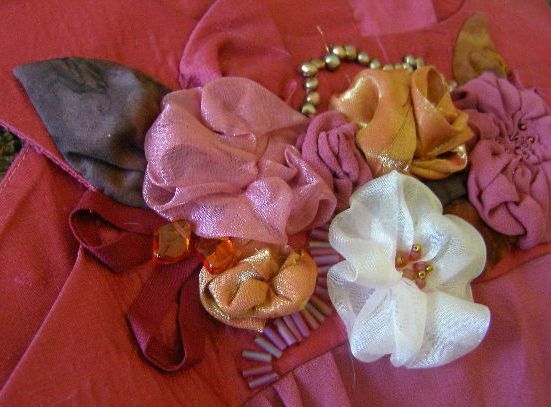 The Stash also contained a number of small pieces of other silks and sheers in the pink/rose family. The leaves are created by folding in a fabric edge, then folding the fabric in thirds. A gathering stitch is made across the open ends and a dimensional leaf is the result! The sheer flowers are just yo-yo’s with gathers to the back, then tacked to create petals. 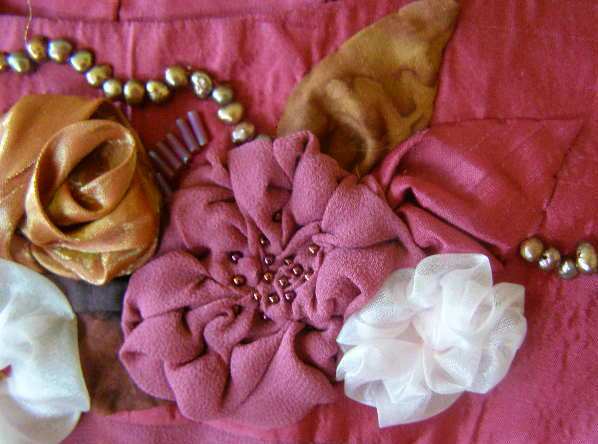 The coral rose was created by first hand sewing a tube of the fabric, gathering it slightly, and then rolling it. The beads were added as accents. The larger beads are freshwater pearls. As the temperatures in Arizona soar into the triple digits, I hope to have a number of opportunities to wear this top. 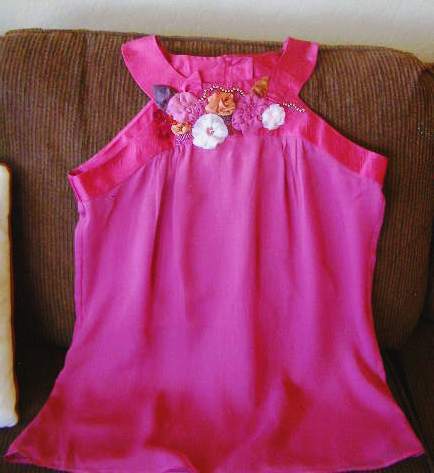 This entry was posted in Embellishment, Sewing, Stash Couture. Bookmark the permalink.